Is Your Marketing Agency Wasting Your PPC Budget? Pay Per Click (PPC) is confusing. Many companies will learn about AdWords and PPC and want to try it out, only to find themselves overwhelmed. When this situation arises, many businesses turn to a digital marketing agency to help them handle their paid search accounts. By hiring an outside agency, business owners can feel like they’re getting great paid search campaigns without the stress of handling them internally. But how do you know if the agency you’ve hired is actually doing a good job? How do you know if they’re even managing your campaigns effectively? This creates a bit of a problem for business owners. When you don’t know how paid search works well enough to do it yourself, how can you hold an agency responsible for running your campaigns? With so much of your marketing budget being invested into running AdWords campaigns, it’s crucial to know what questions to ask your marketing agency. We’ve created a simple list that will help you understand basic PPC management, and give you some ammunition to vet your current agency. The easiest way to ensure your that the agency you hired is doing their job is to review the account activity on your AdWords account. A well managed PPC campaign will be able to show a strong history of regular maintenance including new campaign creation, keyword management and adjustments to get rid of under performing keywords. The best way to check this is to login to your AdWords account, and look for the “change history” link. This page will show you a complete list of all of the changes that have been made to your account over a chosen period of time. Don’t see any changes made recently? This is a good indication that your agency is leaving your campaigns on auto-pilot and that a conversation needs to be had. 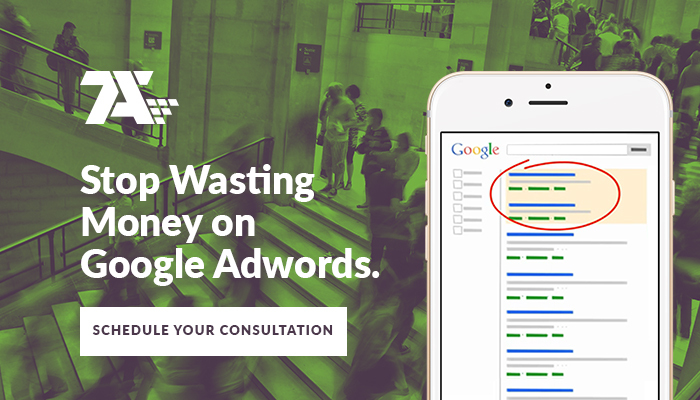 Feel like wasting money on an AdWords campaign? Set all of your campaigns to automatic bidding and watch your budget disappear in an instant. Would you get a robot to watch your dog? The last time you called a number and got an automated response, how enjoyable was that? We can trust aspects of our lives with automation, but PPC bidding is not one of them. Would you get a robot to watch your dog? The last time you called a number and got an automated response, how enjoyable was that? We can trust aspects of our lives with automation, but PPC bidding is not one of them. One of the biggest issues that automatic bidding can create is over-bidding. When your campaigns are automated and on a limited budget, just one click on an expensive keyword without a maximum CPC set can eliminate your days budget and stop your ads from running. Combine this with low ad rank issues and quality score problems, and automatic bidding can quickly drain your daily budget and leave your ads inactive, wasting money on impressions that may not be worth the money being spent. When your marketing agency sets your campaigns to automatic bidding, they’re avoiding the regular responsibility of active bid management and allowing Google to make bid decisions for you. This means that your campaigns could be spending money on non-converting keywords, or spending money excessively to make low quality ads show up more often. Low-quality scores across keywords and campaigns. What’s better: one perfect burger, or 100 terrible ones? As with everything in life AdWords is a matter of quality over quantity. One sure fire way to run out of budget is to bid on keywords with low quality scores and to not work on improving those quality scores over time. When it comes to AdWords, Google decides how you rank based on the content you’re putting out there. They act as a watchdog for the users, gatekeepers to who is pumping out untrustworthy and low-quality content. If your ads lead to a landing page that is optimized, relevant, structured, and valuable to the users, Google will take notice, giving you a higher quality score. More top-quality scores lead to better rankings. See a trend? So, how do you do this? Quality over quantity. Make sure your keywords are linked to ads that bring users to content they can take value away from. Be honest – a thought leader in your industry – using what your expertise to create an experience for whoever clicks on your ads. 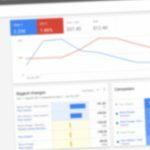 There are a few ways to determine whether or not your AdWords accounts are being improperly managed, and the biggest one is wasted spending. When reviewing your account there are a few items to look for that are key indicators of wasted spending. Assuming that your account is using conversion tracking, one surefire way to expose wasted spending is to review your keyword lists and see which keywords are spending money but not creating conversions. You may find that there are dozens of keywords in your campaigns that are spending money but not creating conversions. When an account is being properly managed, this type of spending should be eliminated quickly. These keywords are essentially worthless as they’re providing exposure and showing your ads but aren’t creating new leads for your business. Negative keywords are a crucial part of your AdWords campaigns as they prevent money from being wasted on irrelevant search terms. This can play a major factor in conversions, as search terms that aren’t relevant won’t likely create new leads for your business. Negative keywords are pretty simple to understand. When you’re running a campaign for “pest control services” a keyword phrase like “pest control jobs” won’t align with your campaign goals. By adding the word “jobs” as a negative keyword for your campaign, you can prevent your ad from showing up in front of people looking to work in your industry and can instead spend that money on phrases that are more likely to convert. With this small list of items you should be able to approach your digital marketing agency and find out why your account isn’t receiving the attention it deserves. When the time comes to decide on hiring an agency, this list of questions can provide you with some insight into how well an agency handles their PPC campaigns and whether or not they’ll be capable of improving your business through paid search. Looking for a new agency to handle your PPC campaigns? Let us walk you through a detailed account audit and show you how TAG can get your campaigns headed in the right direction. Schedule your free consultation today!